Toronto Attorney | Criminal Law, Assault, Drug Offences, Theft, Fraud, Impaired Driving. Law Firm, Toronto, ON. With over 30 years of experience and having successfully defended thousands of cases, including many jury trials, Paul Mergler is a highly qualified criminal lawyer equipped to handle even the most complex and serious of criminal cases. 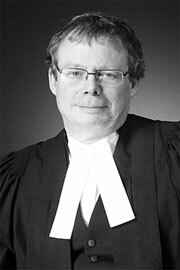 Mr. Mergler has the experience you need to protect your rights and freedom and he has appeared before every level of Criminal Court in Ontario. He is fluent in Spanish and has close ties with the Spanish community. If you or someone you know has been charged with a criminal offence, call Paul Mergler Law…your solutions start here.